I’ve been out every morning for the past week and a half. All the usual spots. Raining today so I get a chance to review and post. 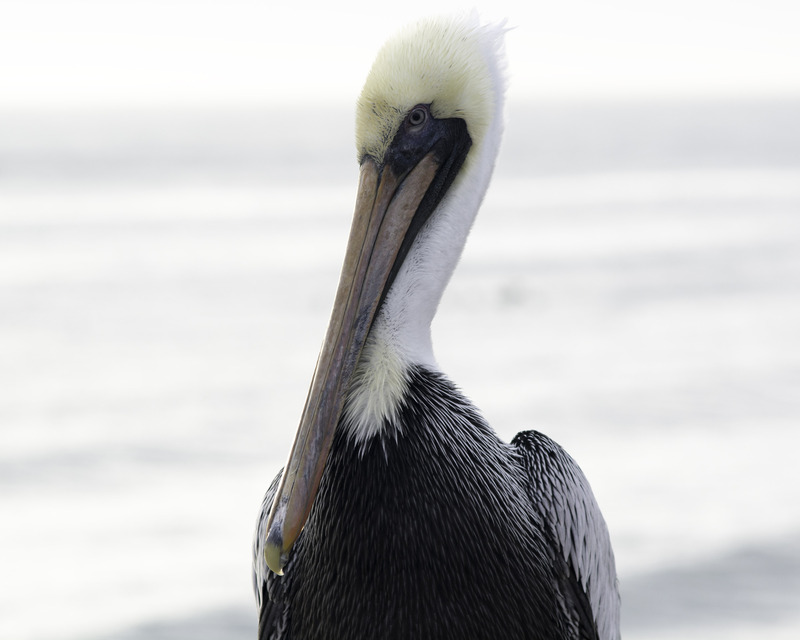 Here’s a shot of a pelican sitting on the Cocoa Beach pier. It’s a bit blown out, but I was having difficulty capturing the dark feathers and the white head, I think the look on his face is worth a post. I plan on getting back there once or twice in the next few days. I’ve begun my second Freeman Patterson book, Photography of Natural Things and as usual he has some thought provoking ideas that make me want to be out on the trail observing and photographing. 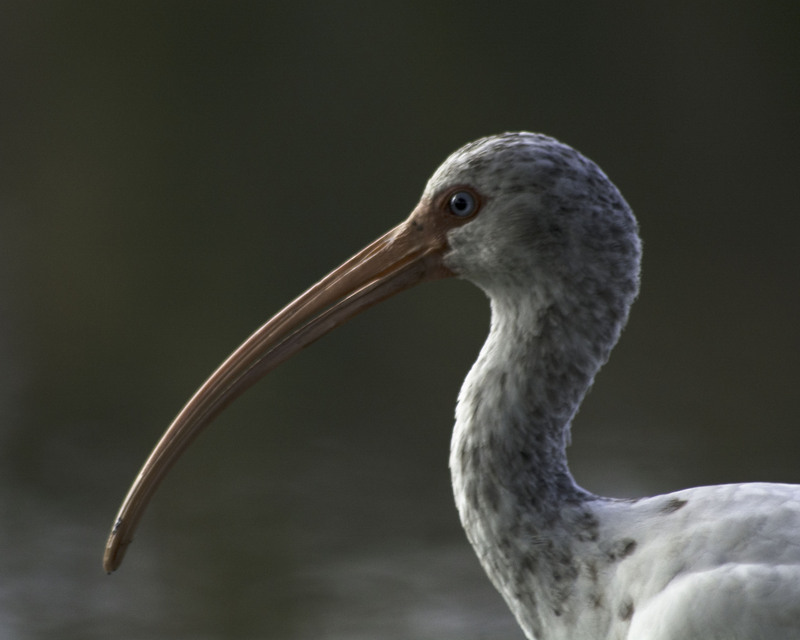 Planning to go to Blanchard Park this afternoon, haven’t been there in a while and got some great ibis shots and a bittern eating the last time I was there. Got there early Saturday morning, and again had the park to myself. Got a couple of sunrise shots, spotted a wood stork and my hawk’s companion showed up. I was so excited to see both hawks on the same tree I almost forgot to take pictures. My goal was to nab a couple of sunrise shots for the booklet (see above). Both pictures taken with my wide angle zoom. The ducks were amazing. There was a constant stream of them for at least 5 minutes. Not sure where they were headed other than north. This park is so beautiful it will be difficult for me to find the next spot for the book. On Monday I hiked Geneva Wilderness Area loop and I’m not sure if it’s the right time of year for it. It is mostly uplands and while I spotted several birds, the area was not appealing to me. I will have to return later in the winter and see if the atmosphere changes. I was so uninspired that I haven’t even downloaded the pics. Sunday I spent at UCF arboretum – that will be the subject of another post. Planning to spend Saturday morning at Mullet Lake Park. This will be a wrap up, with some landscapes and sunrise shots. We should have some clouds by then, since rain is predicted for Saturday evening, and I noticed a few out there now. My only hesitation will be setting up with the wide angle zoom and missing that perfect bird picture. Otherwise, I will be practicing some ideas from the Freeman Patterson book. Looking for patterns and shapes and perhaps after an hour or so moving on to textures as the sun gets higher. Should be fun this will certainly be a different approach for me. While I do some of this it is not with conscious thought. It will be fun seeing what I get. Which leads me to my next idea. Since I spend a lot of time exploring the 3 counties around me (Orange, Seminole, and Brevard – may add Lake). I am looking at creating a pamphlet or booklet with the best shooting spots and some info about them. May be of interest, since I am having to dig around for this information – consolidating it seems natural. Got out twice this weekend – quite chilly in the morning – tiki bar temp around 42, Mullet Lake Park was my destination. When I arrived just after dawn on Saturday, the hunters were quite active out on the river. This was good because it brought some birds in closer for photos. The woodpecker’s were in the camping area, ibis and egrets at the water’s edge. 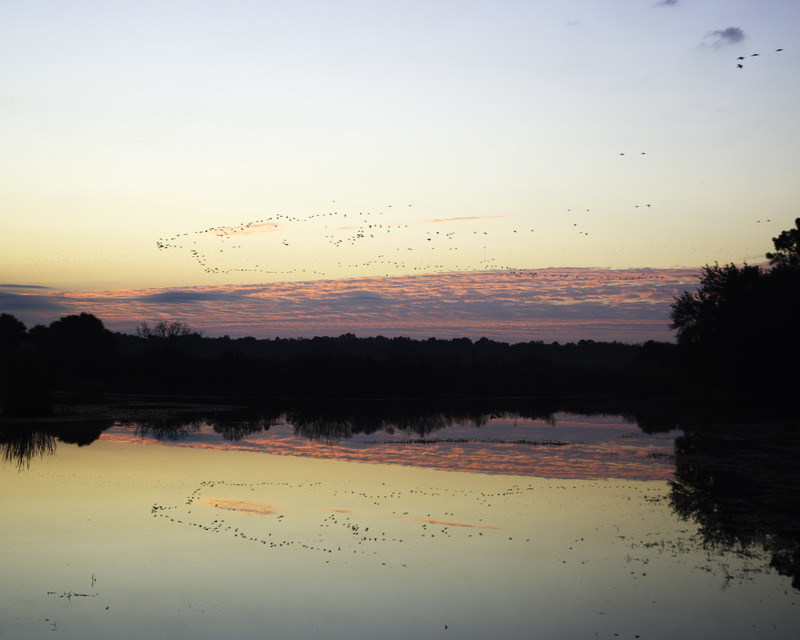 It is hard to describe the beauty of the morning in these tranquil locations. Sunday morning in addition to the above birds, I spotted what I believe to be a red shouldered hawk. He was at the top of a tree preening himself, giving me the opportunity to get quite close and snap a bunch of photos. Trying to work ideas from the Freeman Patterson book seems a bit difficult, I cannot decide if I am here to document the existence of these animals and vistas, or attempt to portray the feelings I experience being there and enjoying the sunrise, bird calls, and visuals. I am looking forward to the next 2 weeks on vacation – both to enjoy with family and steal my mornings at various locations around central Florida. Welcome to mid-December. I’m going to use this blog to chronicle my photographic journey. Current interests include nature and specifically bird photos. This has rekindled my interest in learning about nature and it’s many nuances. I am currently reading Photography and the Art of Seeing, by Freeman Patterson – http://www.freemanpatterson.com/book2.htm . I started reading this book electronically several times and failed, now I have a hard copy and it’s going much better. Lots of great insight into the process of seeing. 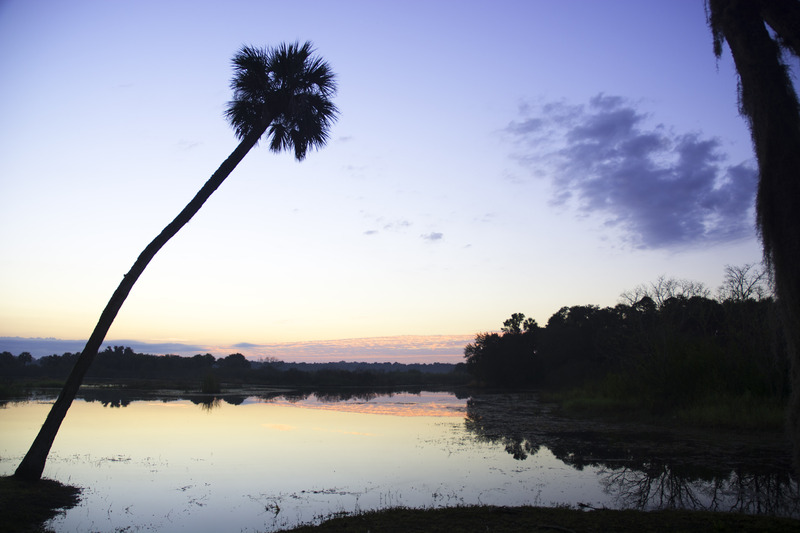 My plans for this weekend include spending some time at Mullet Lake Park in Geneva, FL. I discovered it last week and it is a wonderful spot for nature study. 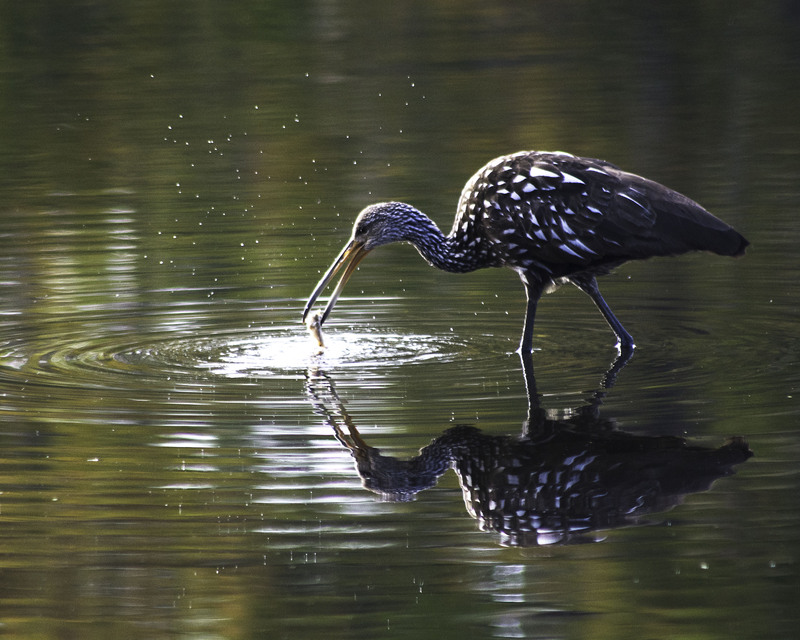 It is located just off the St Johns river and rich with water and terrestrial birds. As part of the exercises suggested in Photography and the Art of Seeing, I plan to set up my camera at the water’s edge and sit and observe. Also, I will try some random close up work.